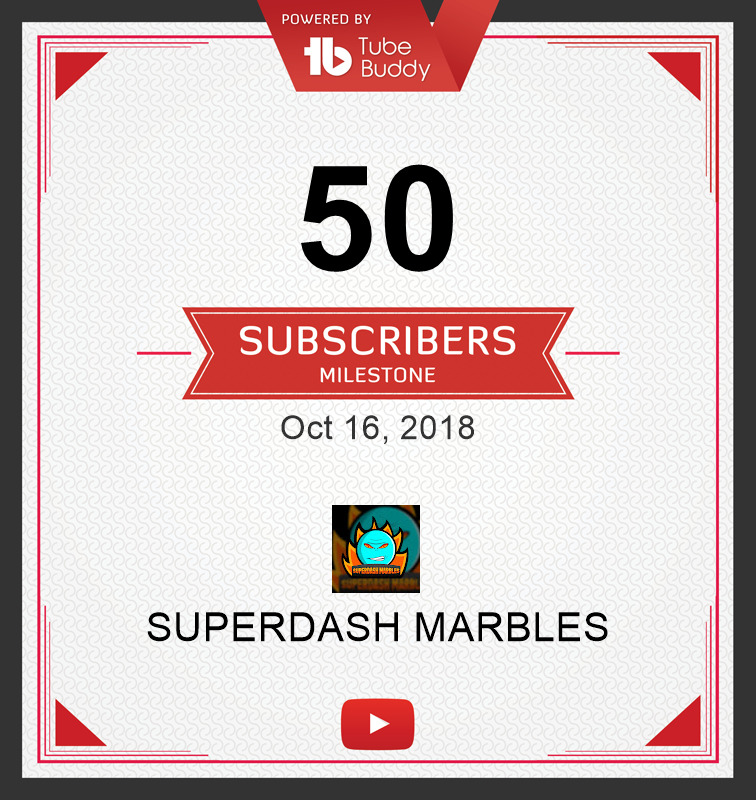 50 Subscribers to Superdash Marbles - Thankyou for your support and advice!! The channel I have set up with my son has hit 50 subscribers. This is mostly attributable to the fantastic and meaningful advice I have received on this forum. Feedback on channel art, thumbnails, video length and where to distribute each video is beginning to pay off. So here is a big thank you to you all!! Congrats! The best achievement is sharing this experience with your son! Good luck with your channel. Thanks guys. Up to 59 now. But seem to be stuck.